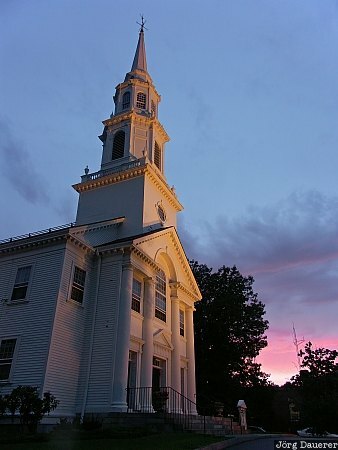 Trinitarian Congregational Church in Concord illuminated by artificial light with a colorful sunset sky in the background. Concord is in the eastern part of Massachusetts, United States. This photo was taken in the evening of a rainy day in August of 2004. This photo was taken with a digital camera.